Crepes & Waffles is one place that I recently tried in Parvati Valley. This place completely changed my opinion. Priced at merely INR 150, these crepes and waffles are heavenly. They are perfectly crispy just as it would be in a sweet fairyland. 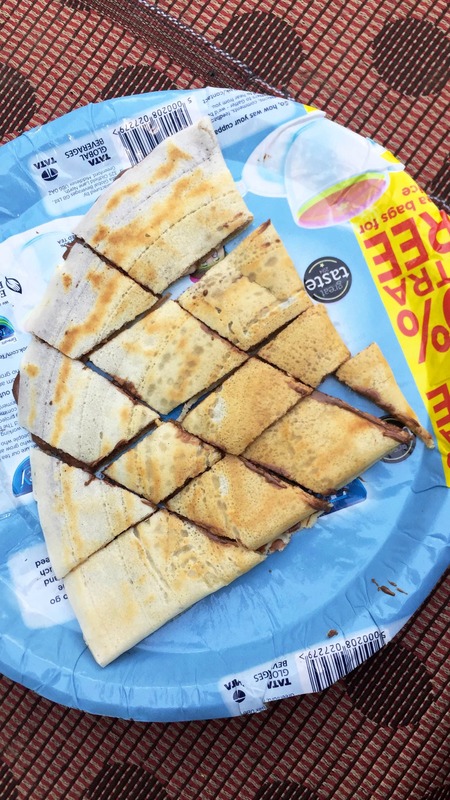 They have just the adequate amount of Nutella that balances the crepe and doesn't dominate the flavour. The nuts were an add-on which made it taste fresh hot snickers.